Sts. 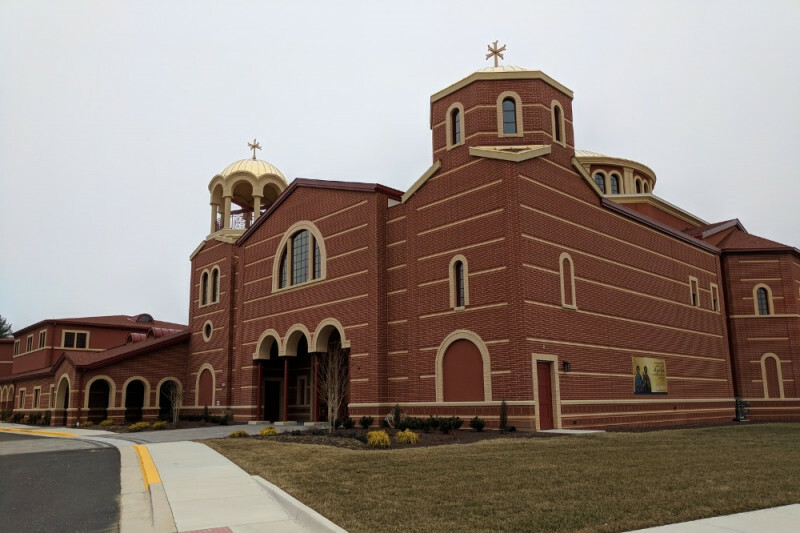 Constantine & Helen Greek Orthodox Church has been in the process of building our new church for several years, moving from Washington DC to the Maryland suburbs. You can see from the photo that we have a beautiful exterior. However, during initial construction, our original construction company went out of business - and made away with $500,000 of our funds. Your donation will help us complete construction, making the interior just as beautiful as the exterior. Our plans are to benefit the surrounding Capital-area community. In addition to serving the spiritual needs of our parish, we will have a senior center, available classroom space, and ballroom for rent. We will also provide other services to the community, supporting any who need our help. All funds will be used for completion of construction, and they are needed immediately. We are in a situation where the core parishioners are struggling to make up for the loss of $500,000; the longer our church is incomplete, the harder it is to attract new parishioners to help us on our journey. I am a current member of our Parish Council and our entire group will ensure that all funds are used strictly for completion of construction. Thank you in advance for your support and generosity.